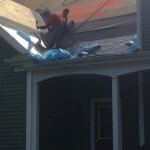 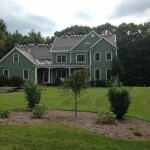 Shingles Installation Roof Repair Services Upton MA | Nor'easter Roofing Inc. 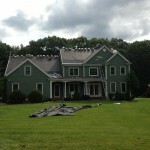 The Nor’easter Roofing crew remains busy this fall, completing various projects for residential and commercial clients such as this recent roof repair and shingles installation in Upton, MA. 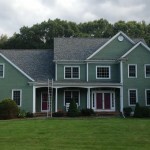 We installed Certainteed Landmark Pro Georgetown Grey Shingles for this homeowner, which gave the house an overall brighter pop and pair perfectly with the exterior color.